I am here talking about security of soldiers which is nowhere connected opposition parties. 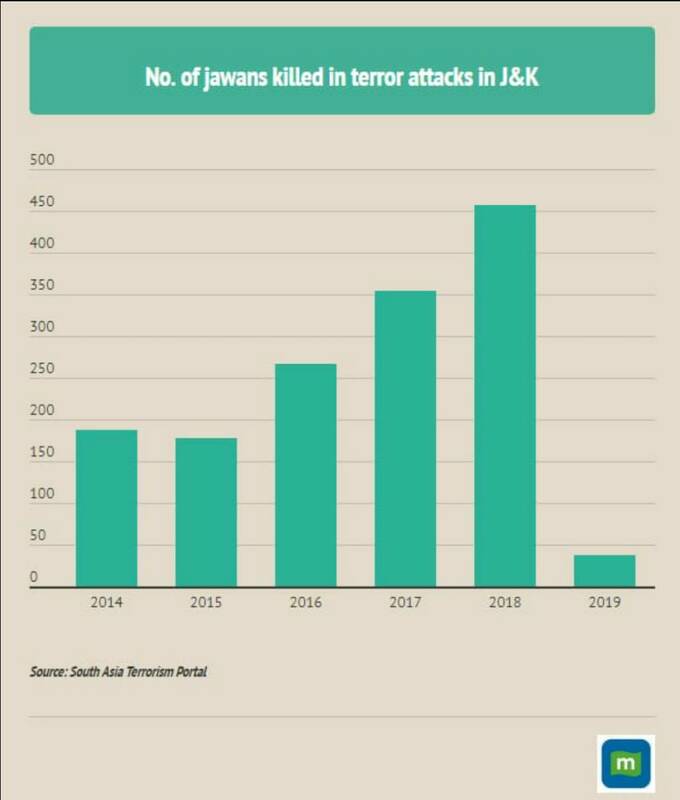 But Yes it's connected to pro terrorist PDP, they have weakened the checkpost with the help of bjp In their 3yrs correlation regime. The big question is how can someone carry 300kg explosives & hitting bus even after changing the schedule??? Without the help of inside people this massacre wouldn't have succeeded. As election is near BJP might be involved in this, they have history of mass Killing. BG013 and Punnam harshith like this. We know about 44 CRPFs died in the bomb blast.. how many people know about the 160+ CRPFs suicides..?? If we really want to cry we should actual care about their life more than anything.. need a lot of research to know the nonsense happening behind the door of this govt.. so many policies and formulas changed by this govt it’s never reached the common people because the news is completely filtered due to political pressures.. no one really have ideas about this.. So that means the current govt is not responsible for those life.. Never in the history of our country there was a mention of War strike as a mileage for vote gain this is the first time it’s happening..
People of India must watch Pradhan Mantri serial to understand the past about India politics.. Social media trends are completely manipulated ones and stop believing them.. otherwise India will go back another 10 decades and back to independence days very soon..
JAMES™ and Appu_Kannadiga like this. 'Super Deluxe' is bit lengthy and boring film, yet I call it supercalifragilisticexpialidocious!